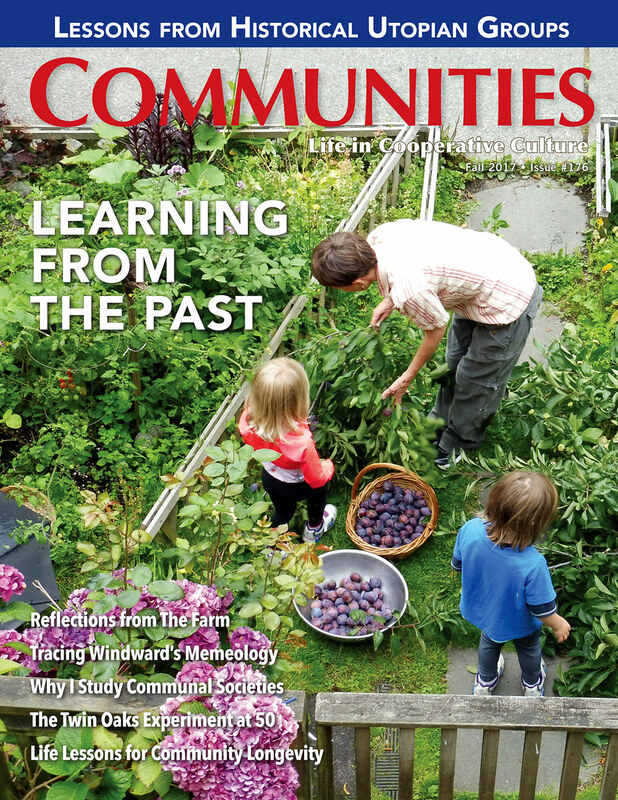 Our Fall issue, sponsored in part by the Communal Studies Association, focuses on Learning from the Past. 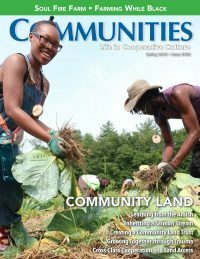 Current communitarians reflect on lessons from their own and their communities’ histories, and on inspiration from historical communities that inform their own efforts. Students of communalism share the outcomes of their research, including recipes for success and failure and other insights from past and present communities. Community seekers and founders describe what they’ve learned so far. 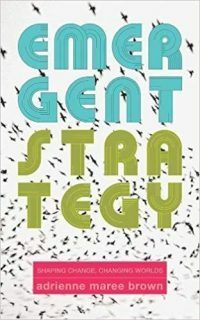 Throughout, we explore how learning from the past can help us navigate the present and move toward a more vibrant, functional, cooperative future. CSA and FIC partner to spread awareness of communal groups past and present and the vital lessons they offer, in areas ranging from conflict resolution, sustainability, and equality to the dangers of authoritarianism. A convergence of causes—from hierarchy (and denial thereof) to ego, mismanagement of money, the “bubble effect,” and more— ended The Farm’s 13-year collective experiment. For decades the Fellowship for Intentional Community has been an essential resource for documentation, support, and networking. Here are some definitions, community types, and organizing principles. 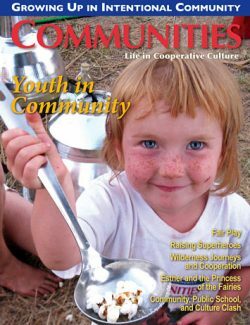 Forty-five years of researching, writing and teaching about, and living within intentional communities yield personal lessons with global implications. 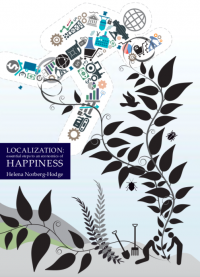 The Haudenosaunee, the Oneida Community, and The Moon Is a Harsh Mistress, with its vision of a “polyamorous line family,” all form part of Windward’s conceptual ancestry. The study of intentional communities can help us explore the perennial questions of concern to political theorists—and to all of us. A long-lived egalitarian community offers valuable lessons about optimum population levels, the revolutionary potential of labor-credit systems, and the equal valuing of all types of work as a practical expression of feminism. 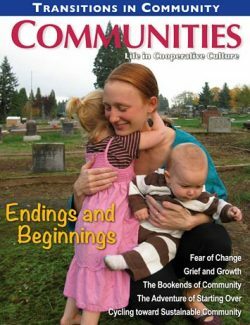 Short-term experiences of intentional community, and short-lived communities, can still have powerful, life-changing, and society-changing effects. The founder of Bellyacres Artistic Ecovillage profers advice inspired by the nearly three decades he was immersed in the experiment. Successful communities have usually shared a willingness to work hard, as well as commitments to building relationships, self-reflection, and listening to one another. 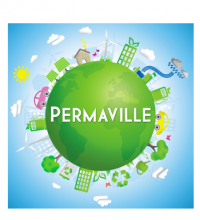 Nearly two-and-a-half decades of urban community experience yield 1 key ecovillage founding guidelines, thrice refined. In a survey of nearly 30 contemporary communities, increased egalitarian practice, stronger commitment mechanisms, and outside assistance in conflict resolution all correlate with greater group cohesion and effectiveness. Through her experience temporarily “unplugging” to join a community emphasizing genuine connection and values-based living, an international law student gains lifelong lessons. Unless we learn from past and present communities, and collate lessons from our own, we will bob as separate crafts on the ocean of our uncooperative and ahistorical Americanness. 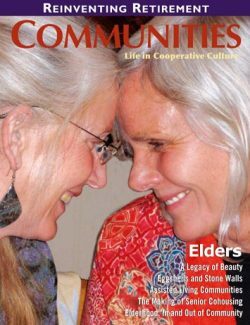 A journey across the country visiting intentional communities offers insights and personal inspiration. An experience of intentional community during college inspires a long-term dream (an alternative to the American one), temporarily impeded by student loan debt and other setbacks, but now alive, well, and providing guidance in daily life. 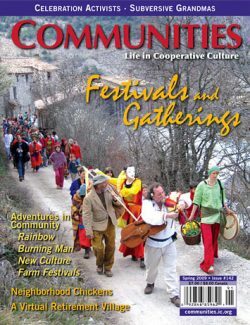 A dedicated communitarian reflects on the challenges and rewards of cooperative living. Having felt a sense of community in a small town in Arizona, the author reestablishes it many years later in a cohousing project in Alaska. Still in the process of formation, Bruns Eco Village in Australia finds itself on a steep (but welcome) learning curve. A summer camp for boys started in the 1940s leads to lifelong, millennium-spanning connections.